Description: TSAL062 - Fury Marble Fountain - Fury needs no introduction. It’s a sculpture that resists the term statue and takes on the term art. Made of Italian marble, these unique garden sculptures can act as deserving memorials as well. 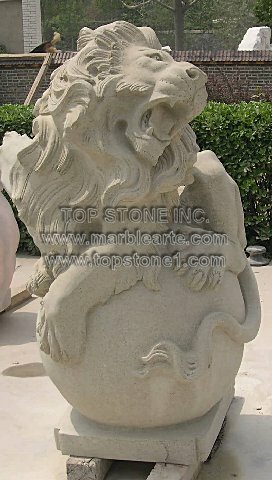 Not only can this lion garden statue function as a yard statue, and landscape sculptures, but these lion garden statues can fuse together with a marble fountain to create a conglomeration of fierceness and elegance.